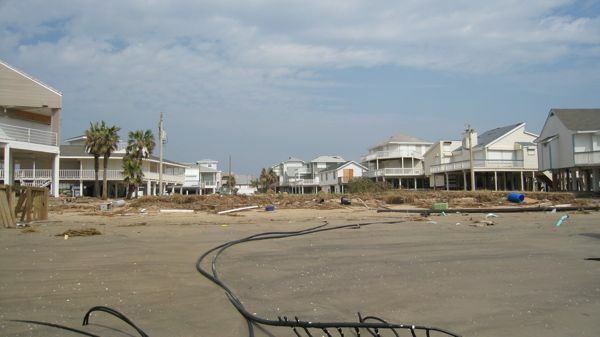 I was able to visit Galveston today and took these photos from the Pirates Beach/Cove area. 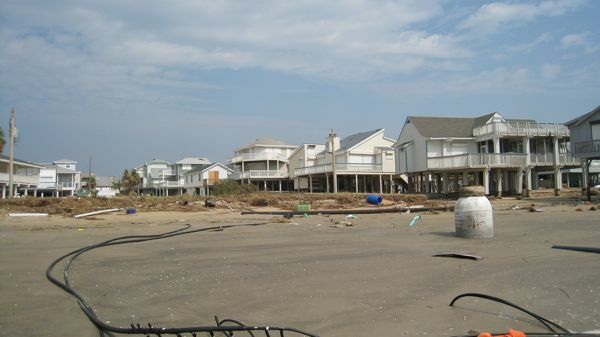 In the time I had I was able to capture images of perhaps 100 homes or so. 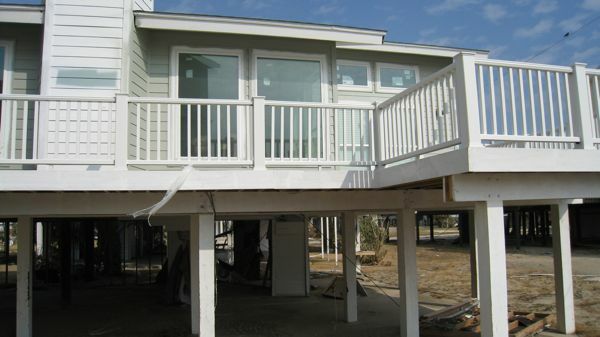 Browse the images and you might be able to spot yours. 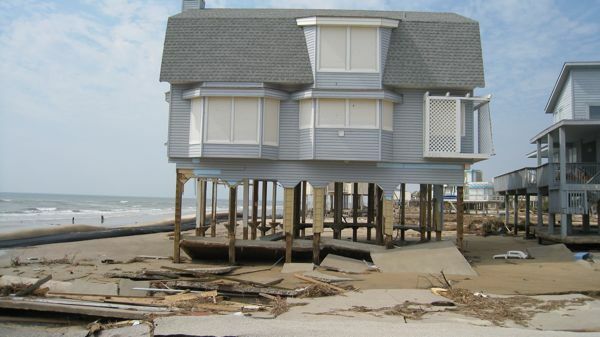 I regret that I was not able to cover all homes. 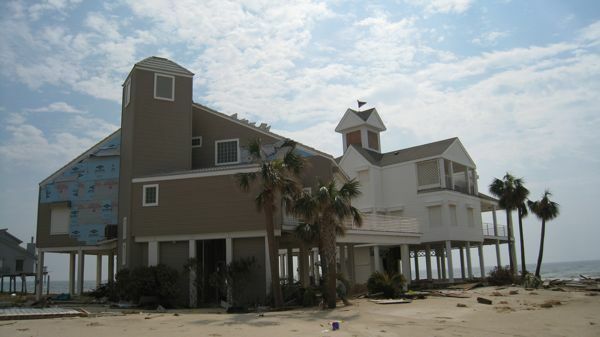 I also took a lot of video and will post that if it turns out ok - that may show some additional homes. 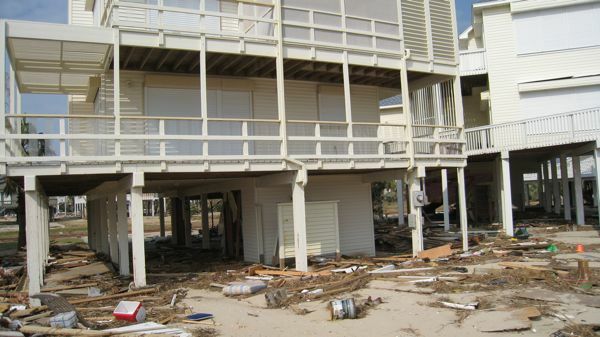 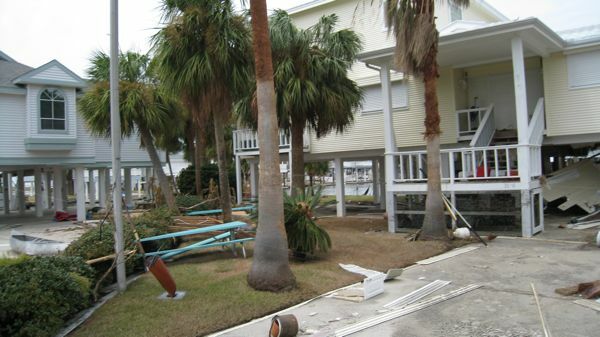 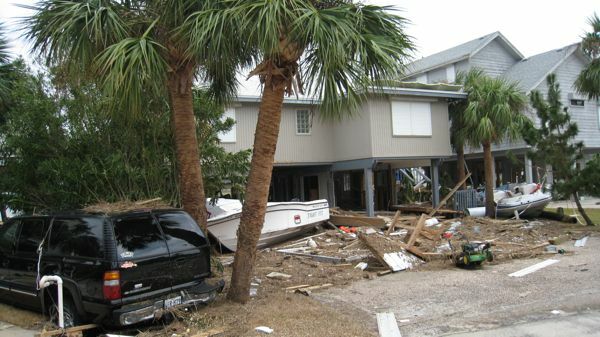 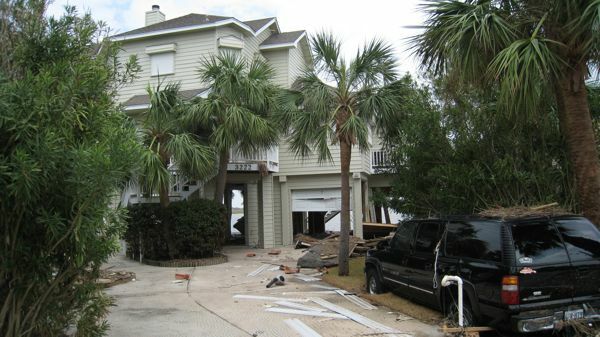 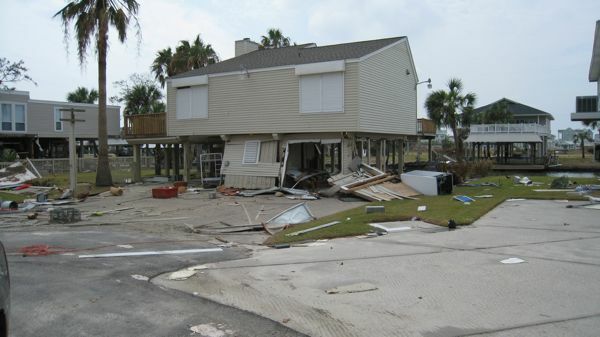 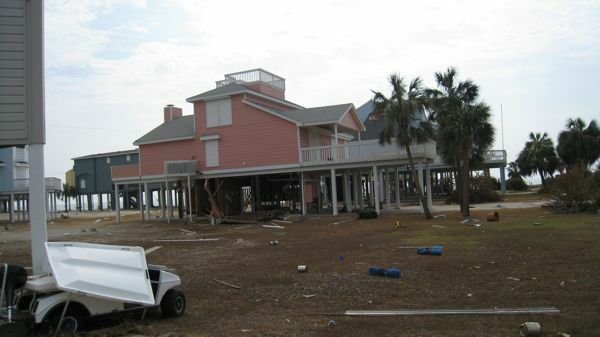 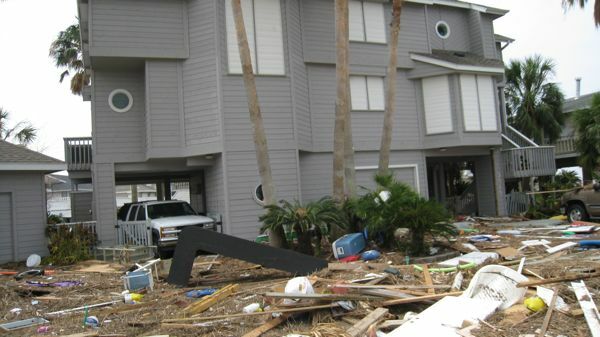 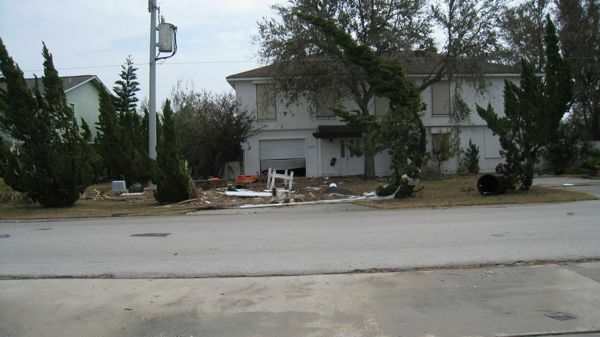 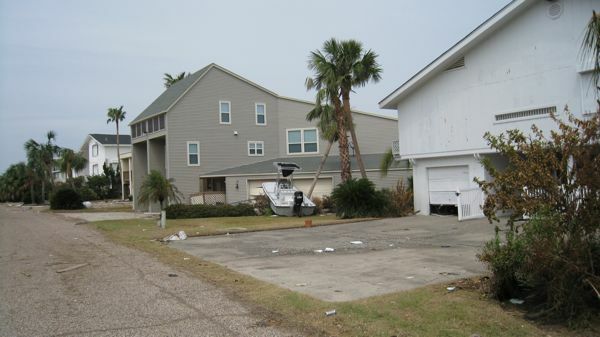 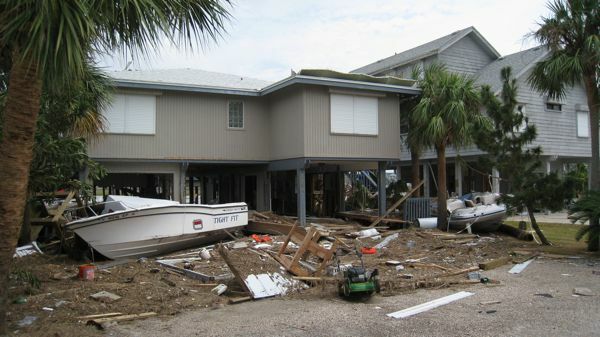 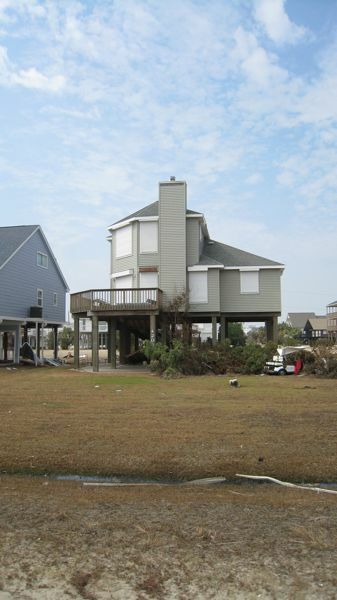 In general, for the Pirates Beach area, almost every home has some sort of ground floor damage - from modest to severe. 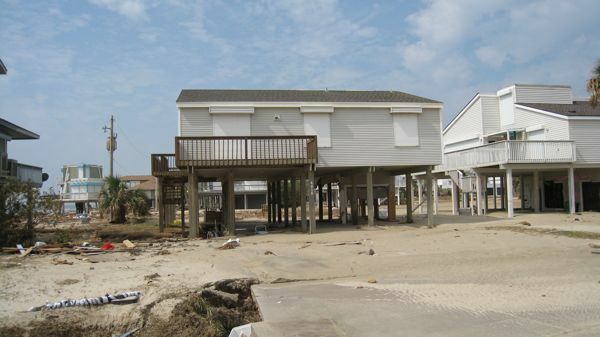 Fortunately, it appears that the upper floors of most houses survived quite well. 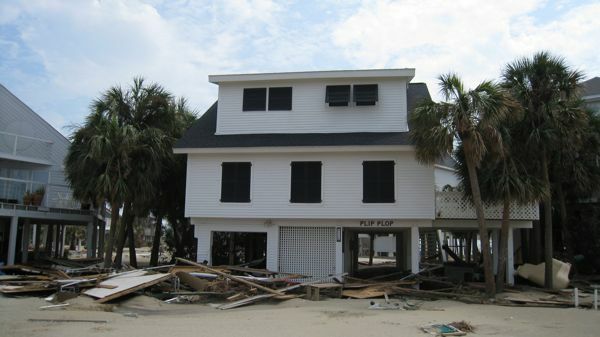 My own home, 4th from the beach, had no damage whatsoever upstairs - but the downstairs area was completely gone ( no big loss except for one of my favorite wade fishing jackets). 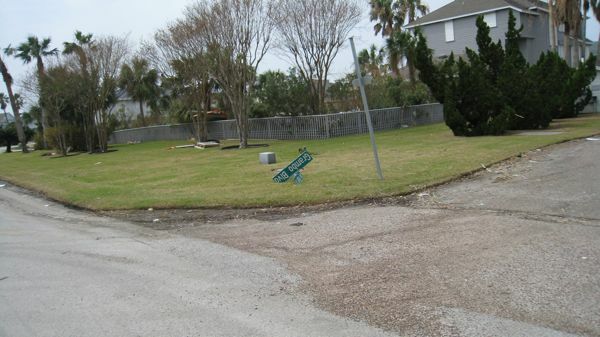 Debris is everywhere, but the roads are generally clear. 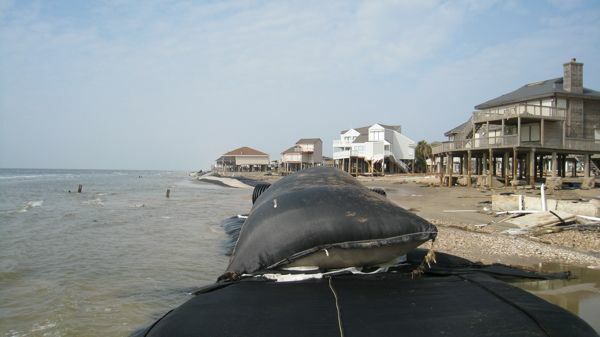 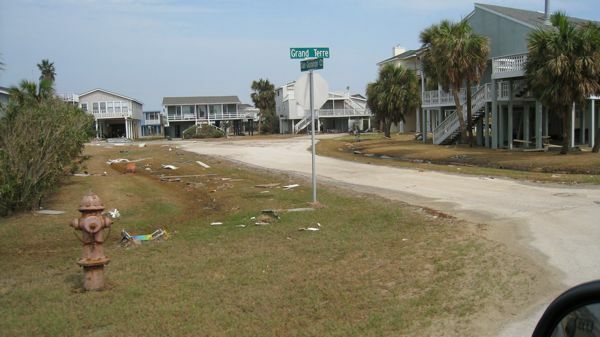 FM 3005 is fully cleared with piles of debris and sand bulldozed to the side. 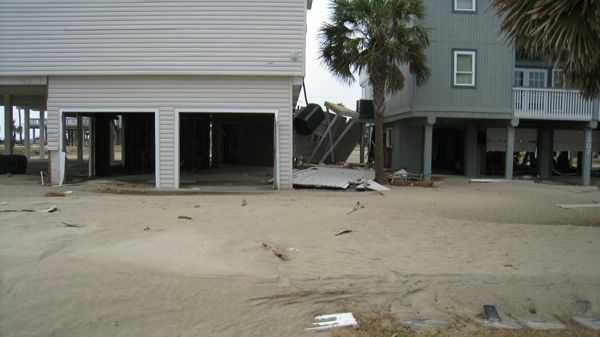 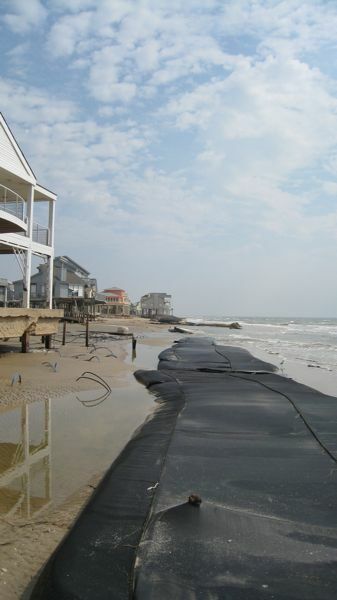 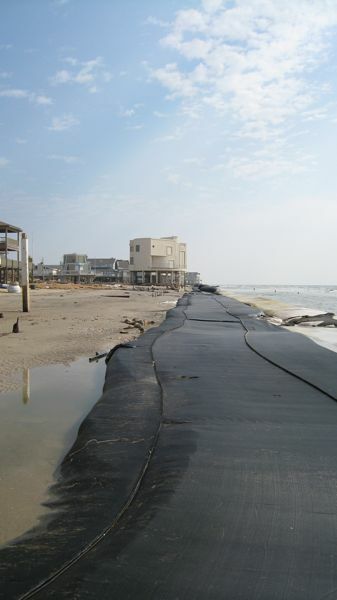 The north/south roads close to the beach are destroyed from about the second house from the beach to the dune line. 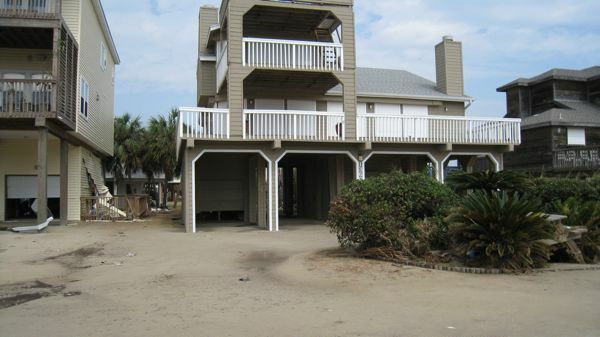 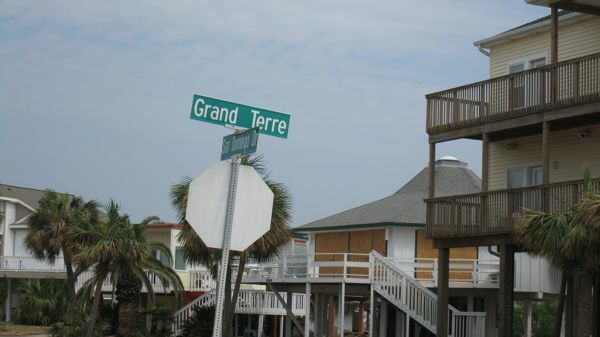 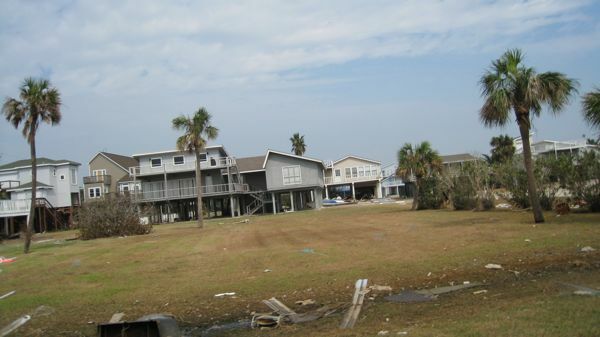 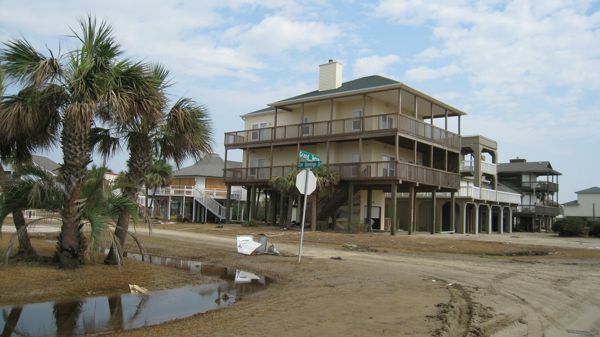 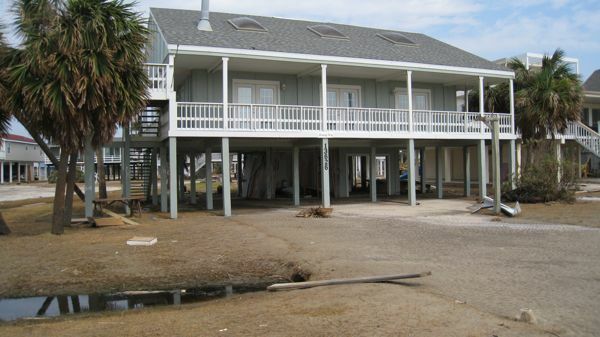 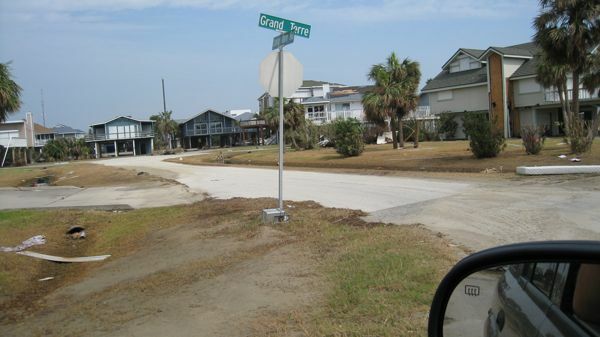 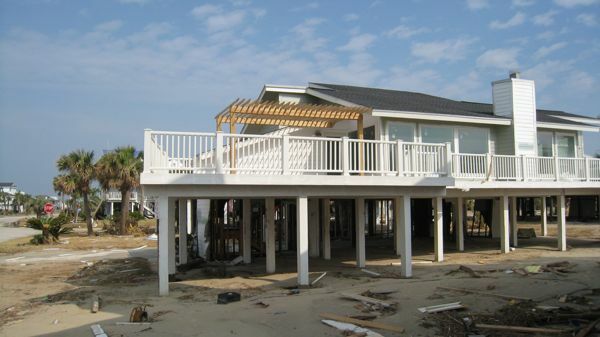 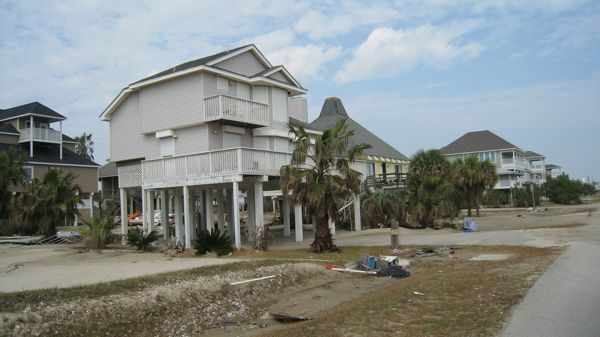 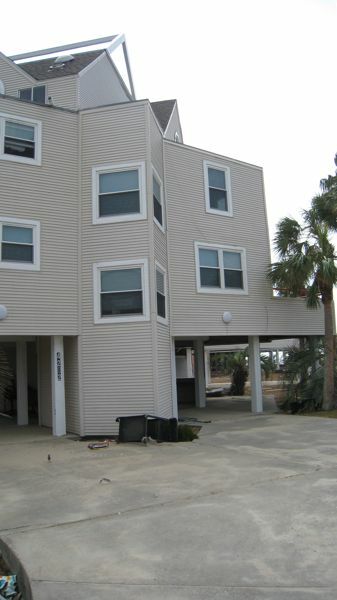 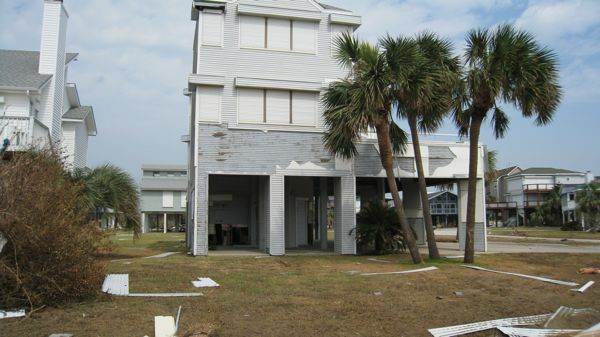 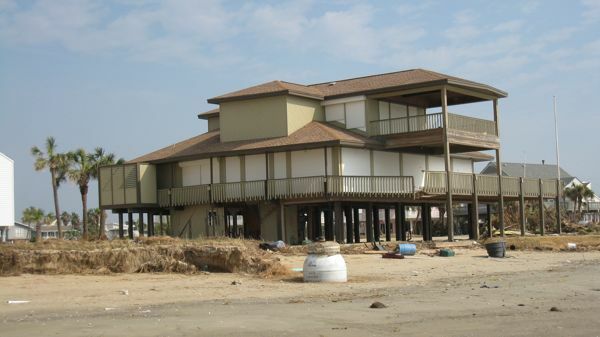 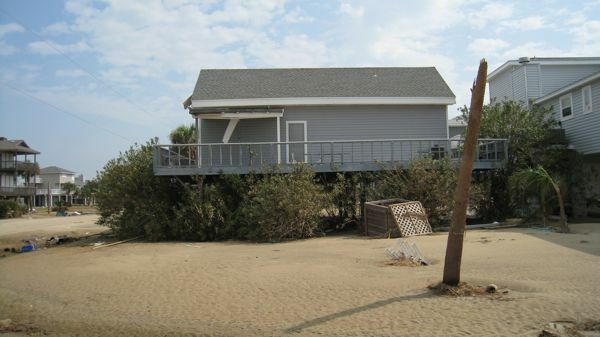 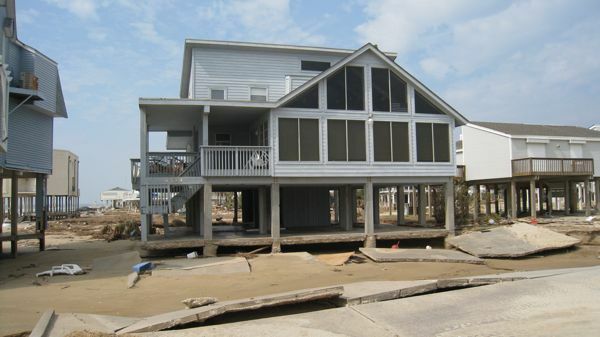 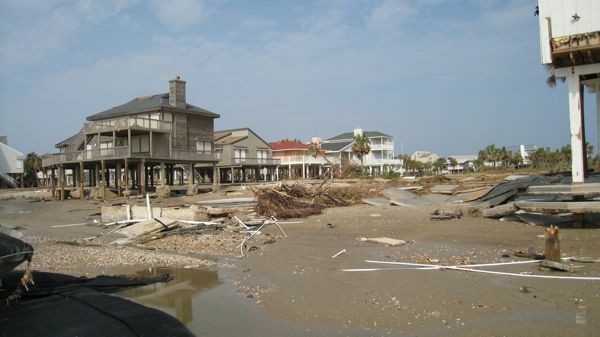 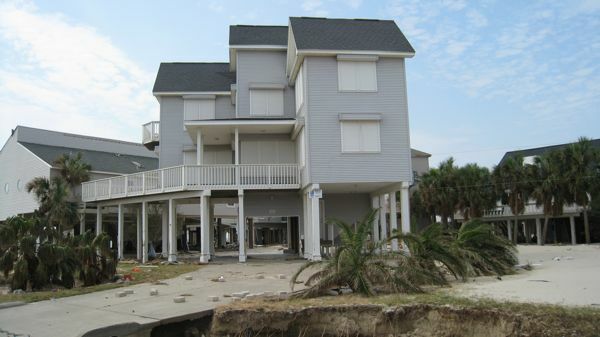 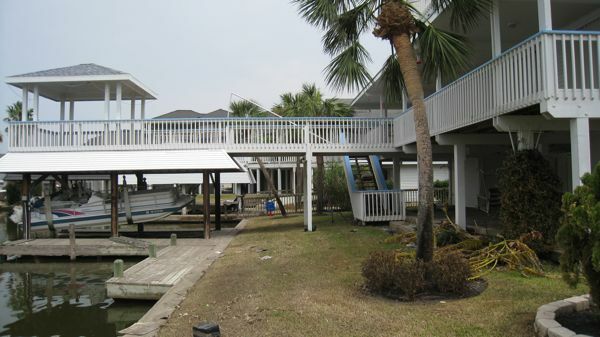 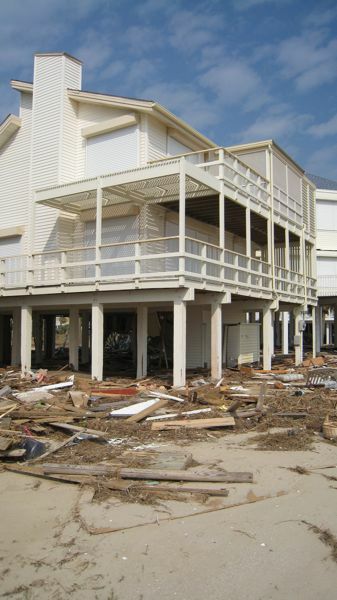 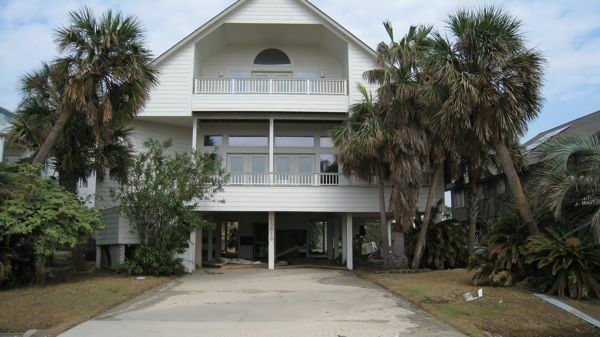 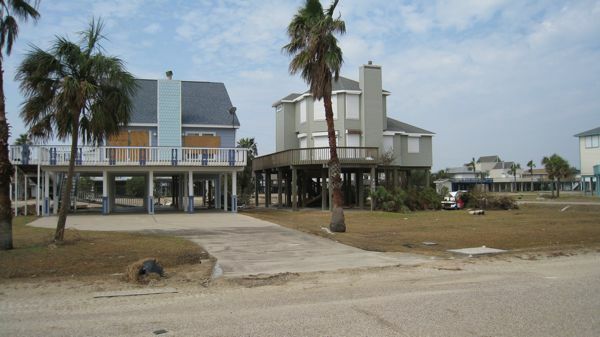 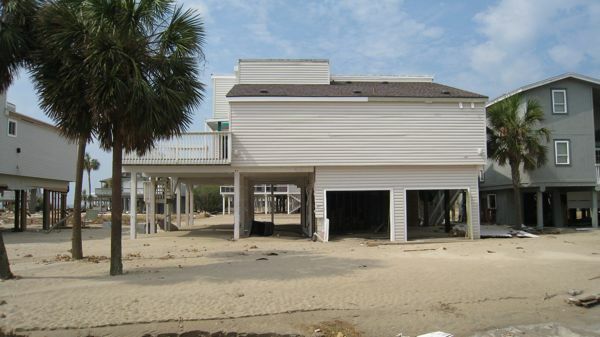 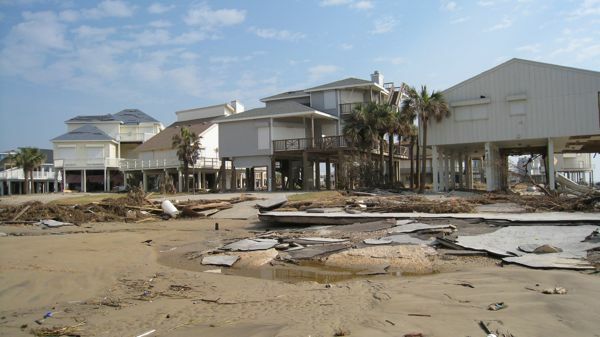 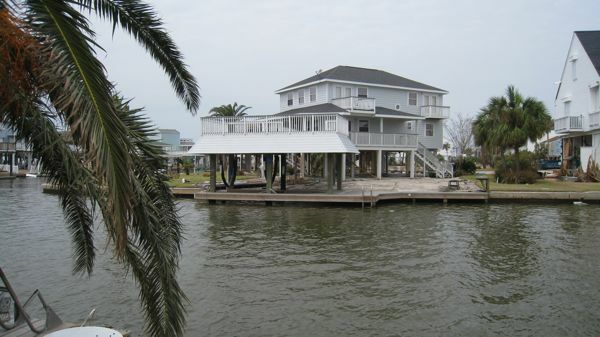 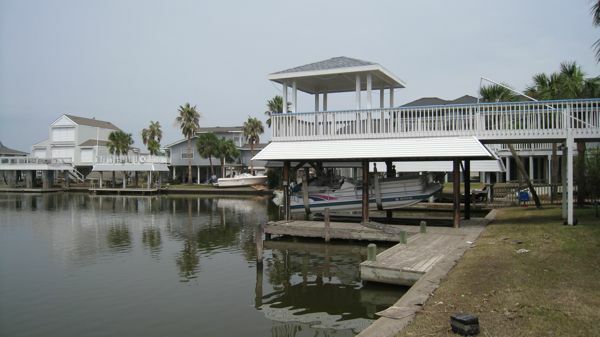 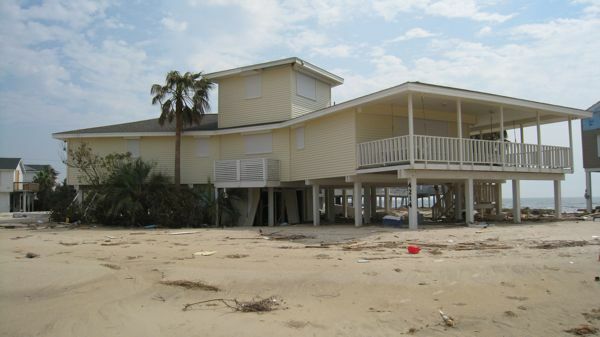 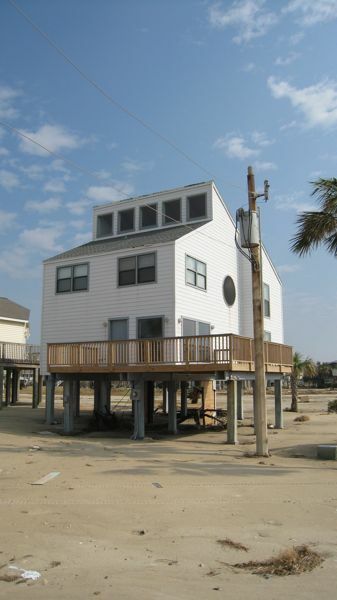 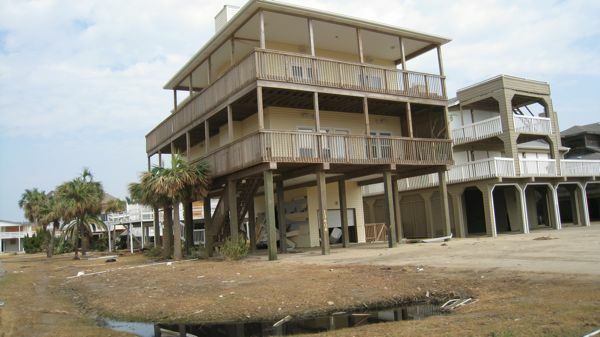 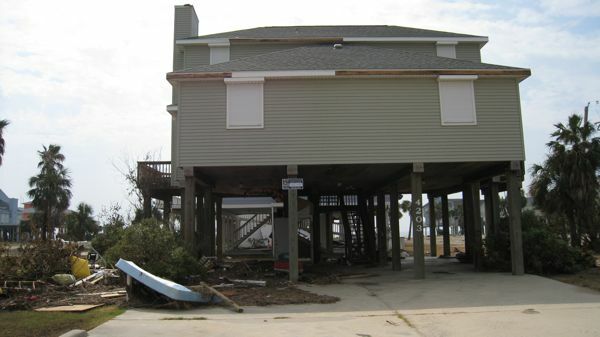 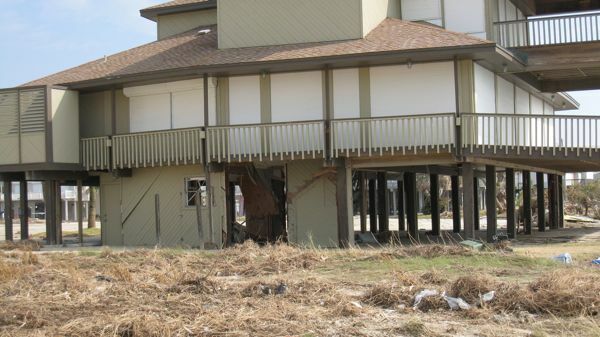 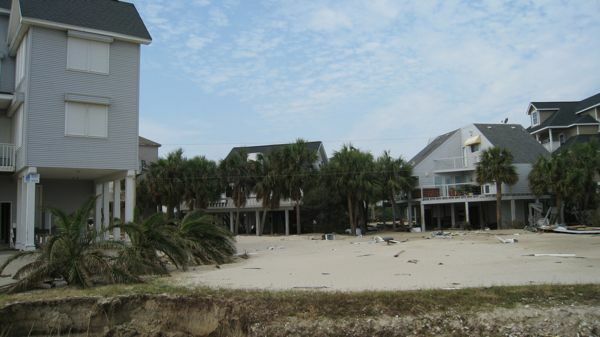 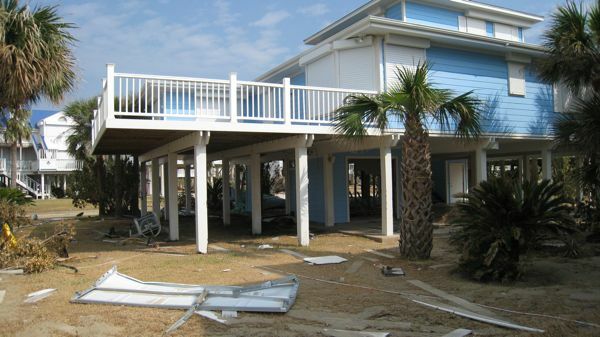 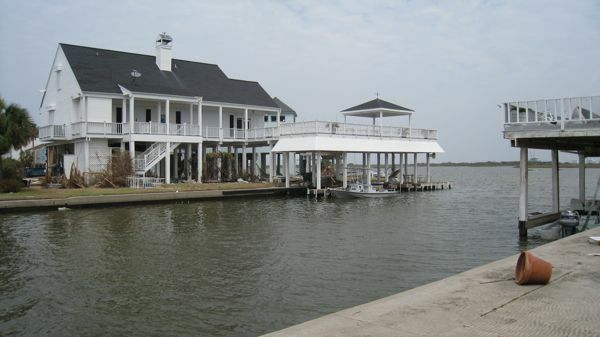 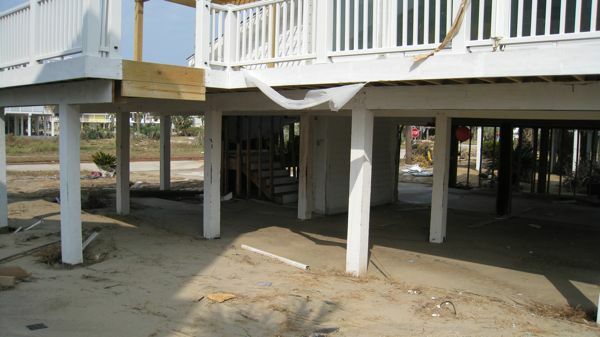 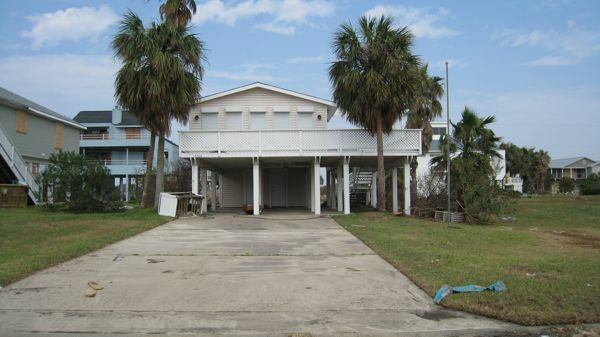 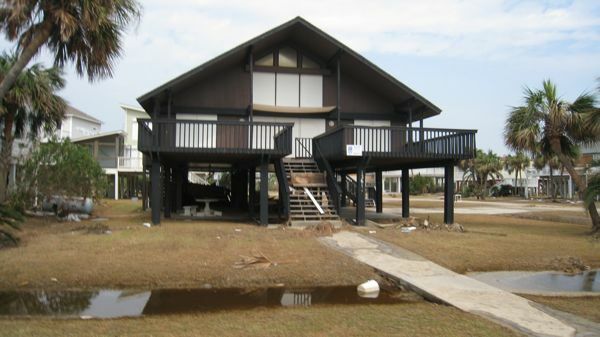 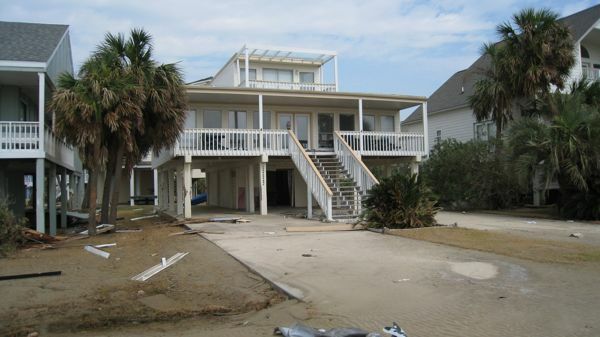 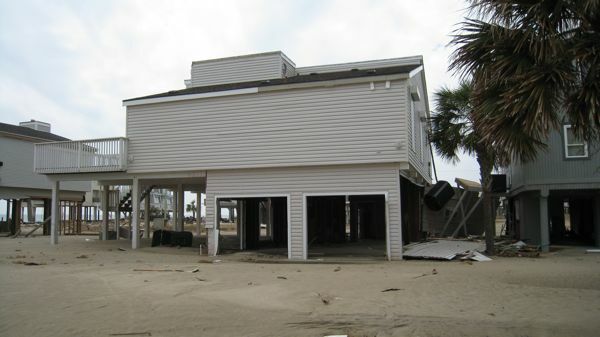 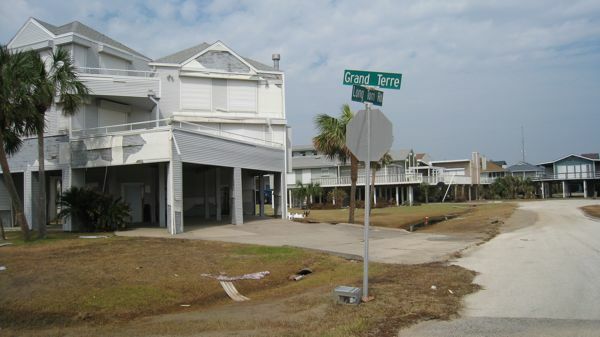 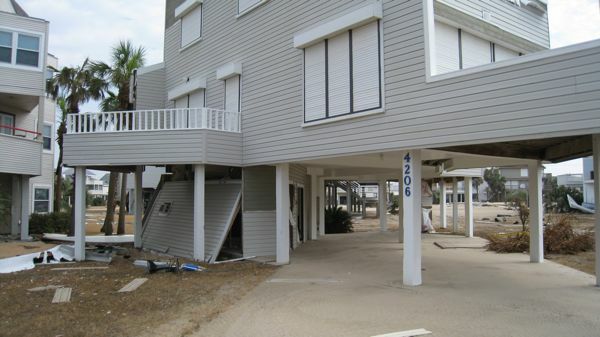 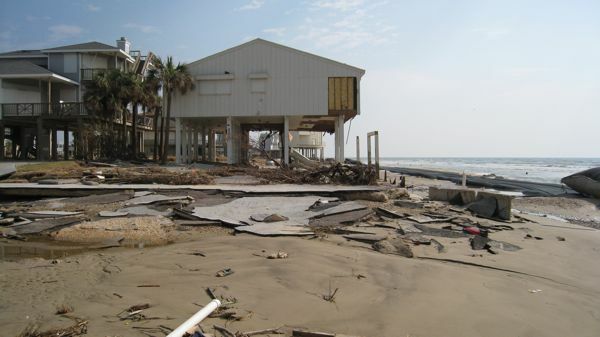 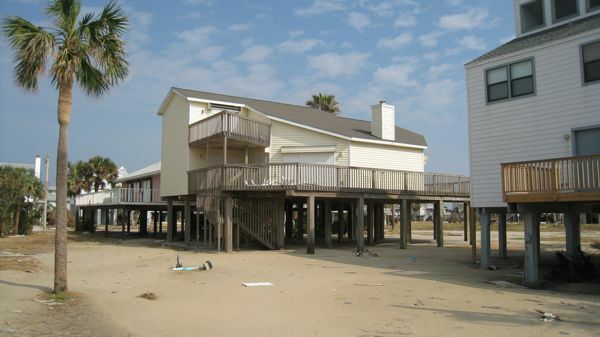 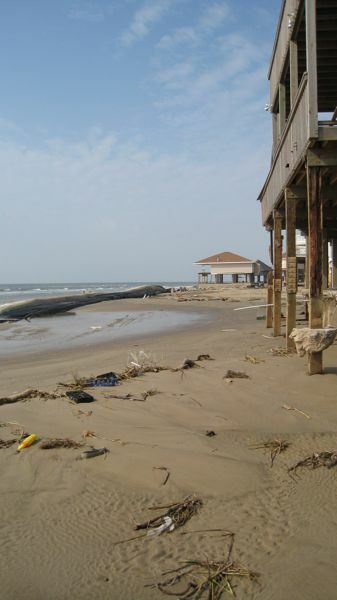 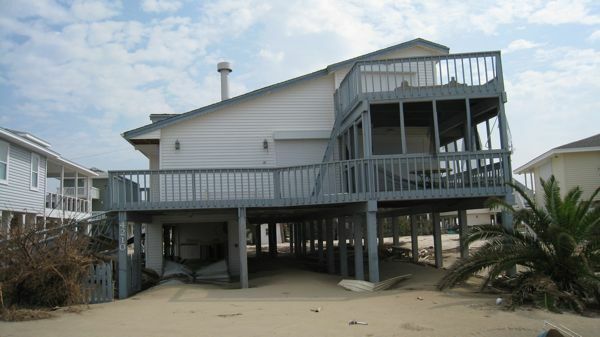 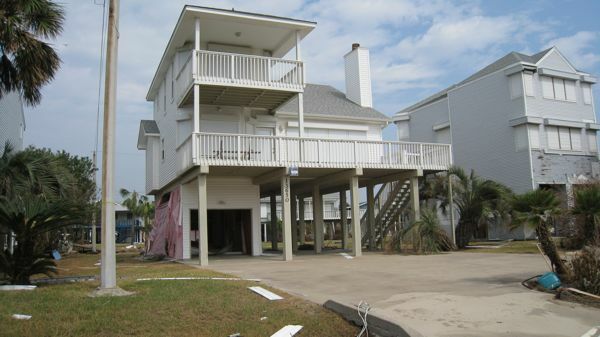 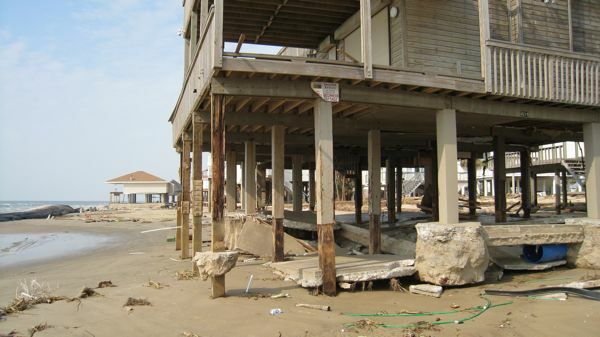 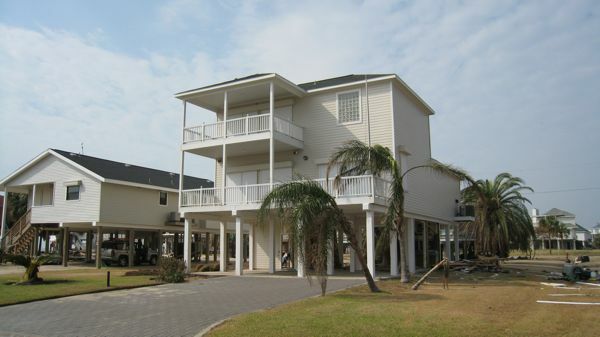 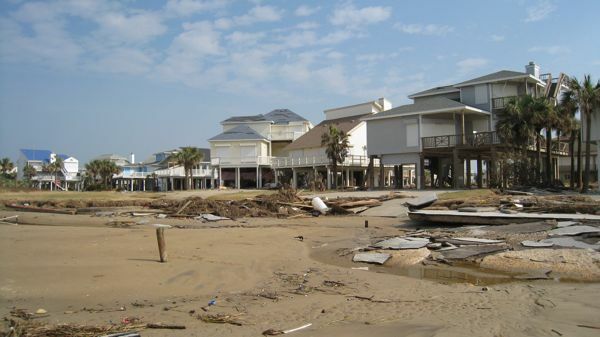 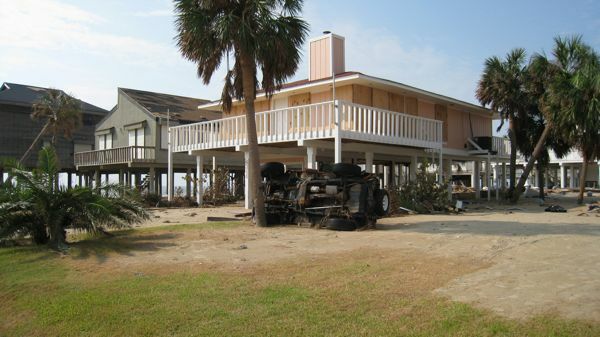 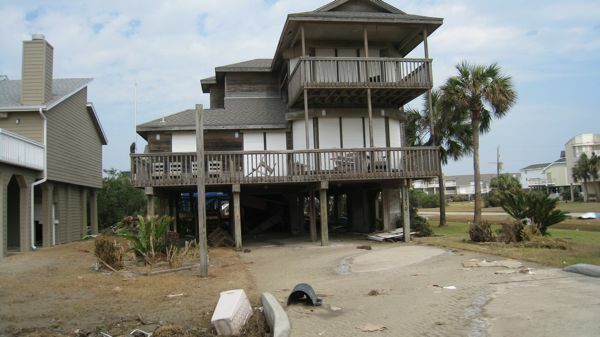 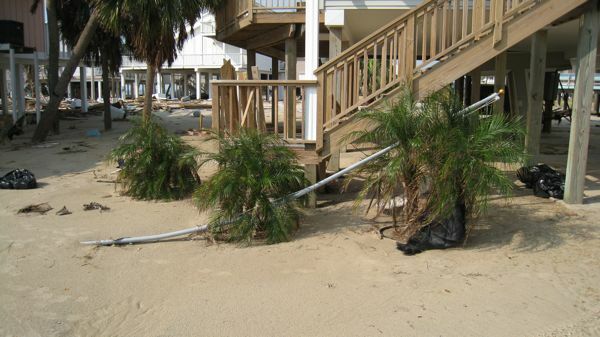 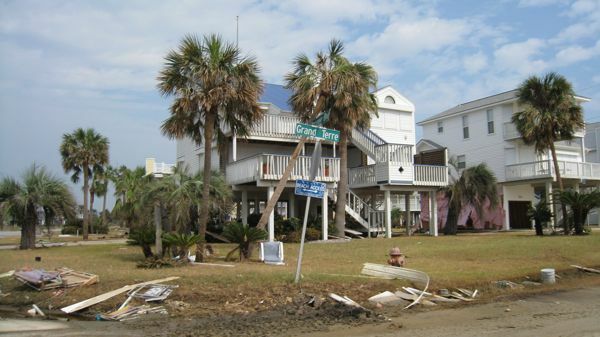 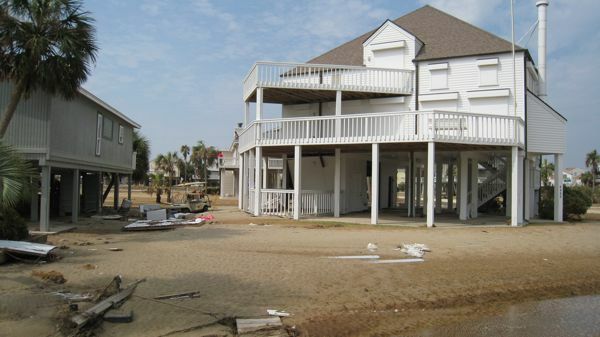 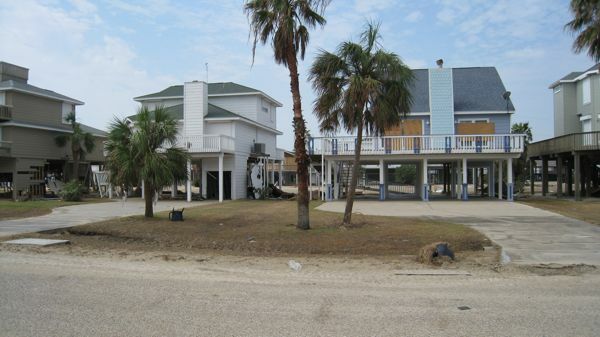 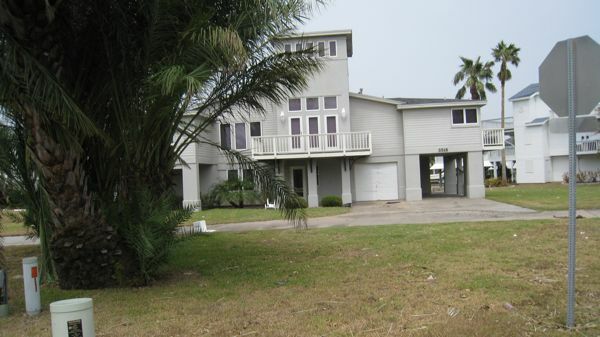 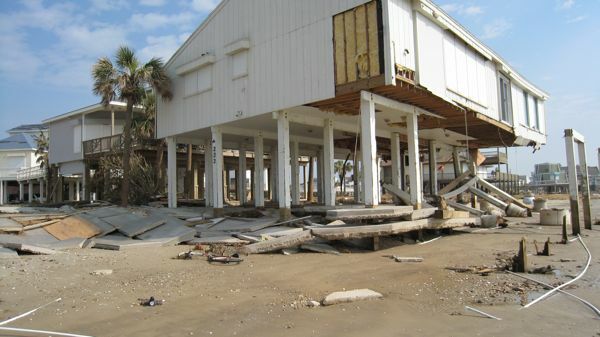 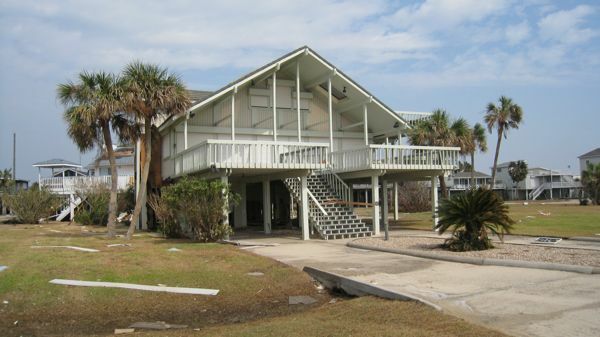 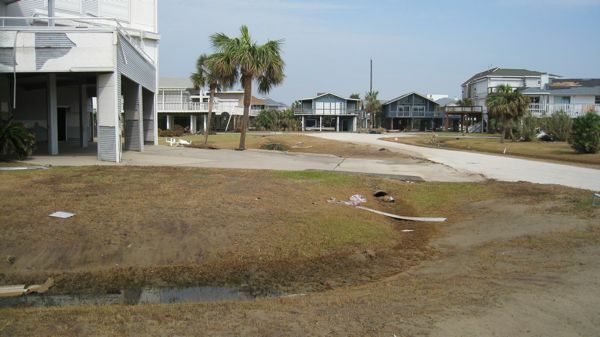 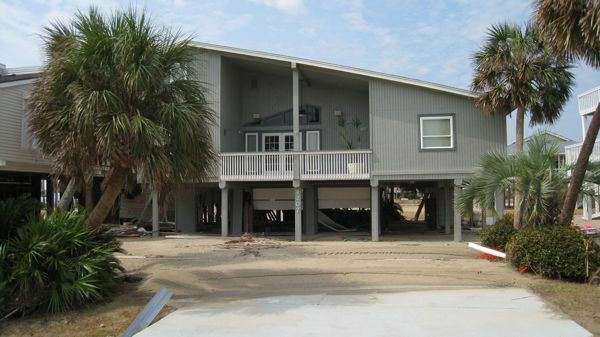 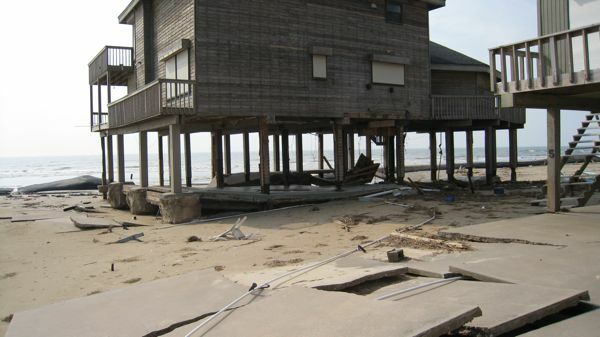 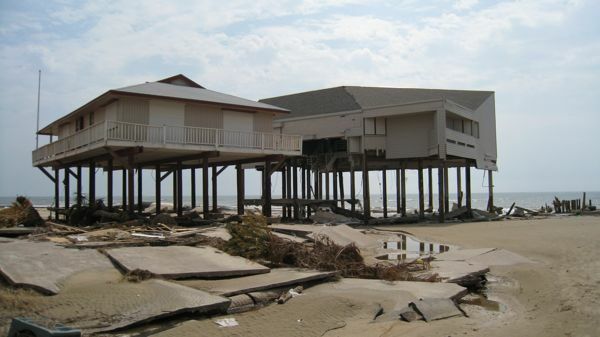 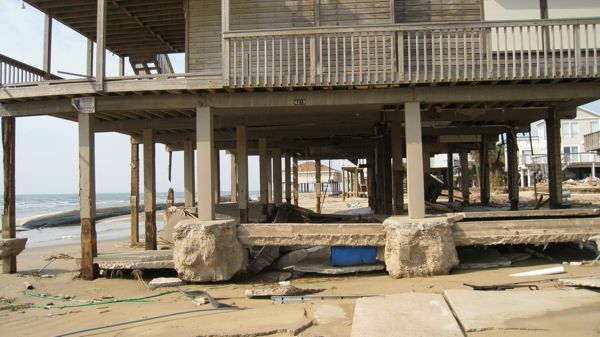 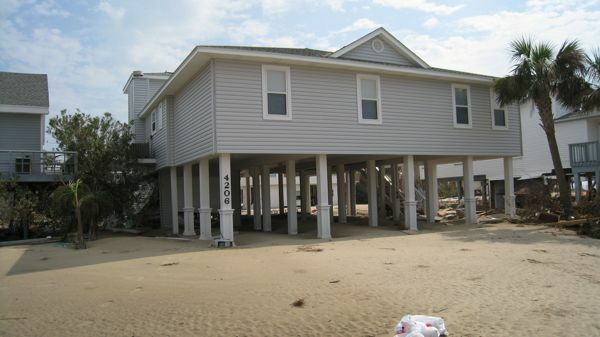 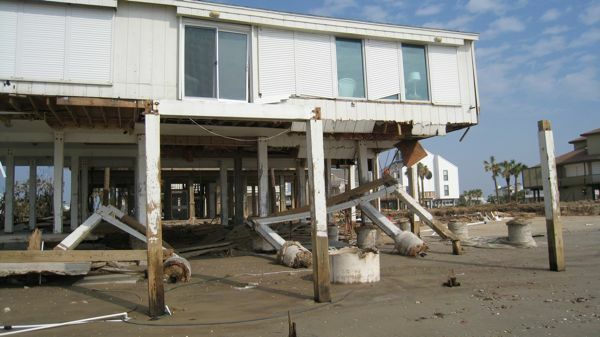 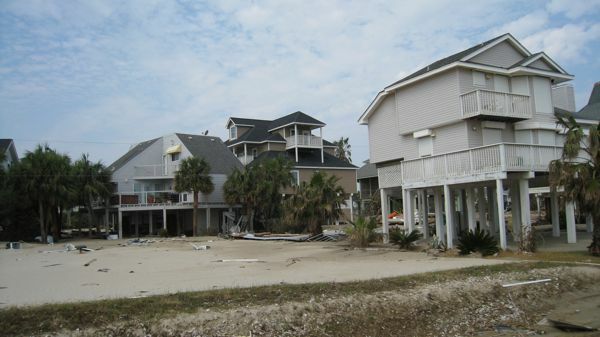 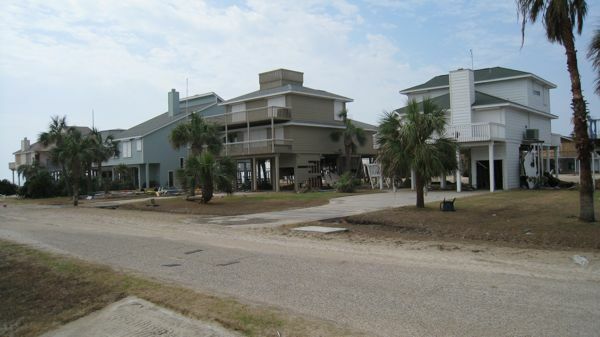 Many of the beach front houses seem to have severe foundation problems. 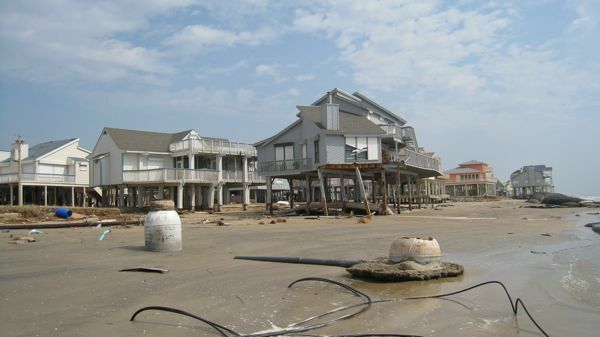 The beach is severely eroded and it appears that about 3-5 vertical feet of sand is gone. 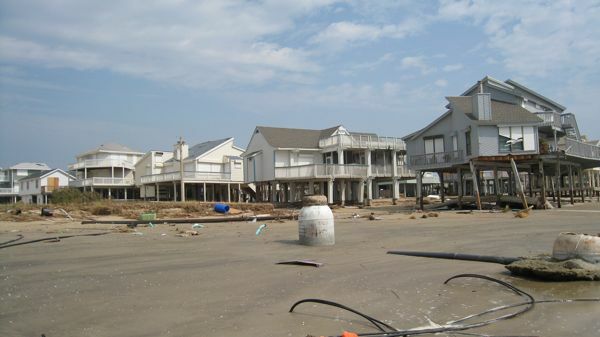 Few people were around in Pirates Beach/Cove when I arrived quite early. 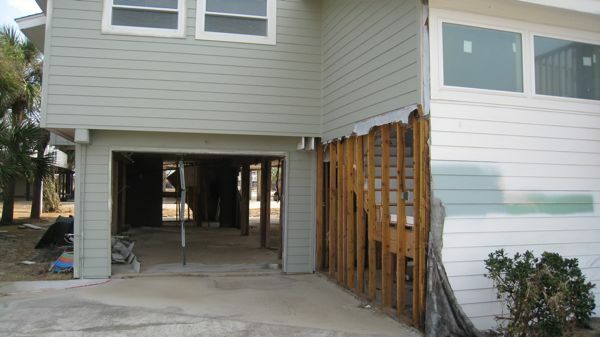 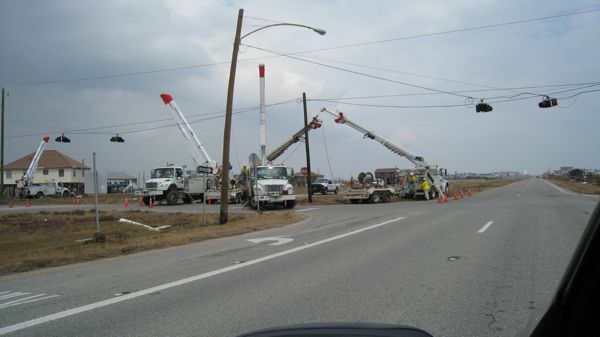 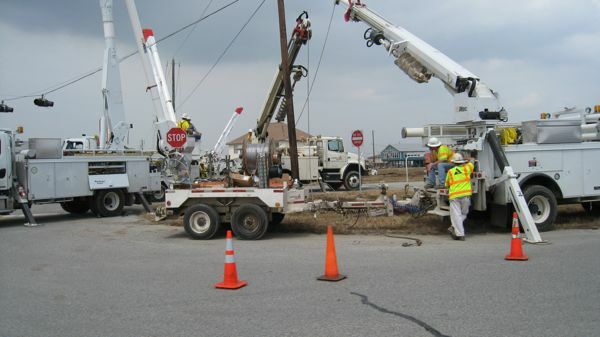 By the time I left in mid-afternoon, there were several contractors and others around - but not many.